Flowering time: April-August. Perennial. Native. 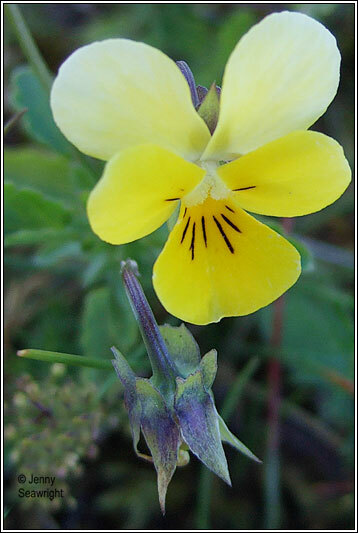 Long-stalked yellow flowers, the petals longer than the sepals. End-lobe of stipules broad. Leaves oval, crenate. 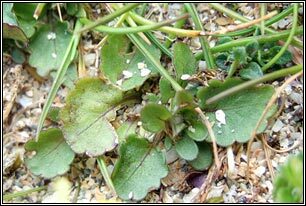 Stems erect, tufted, often branched. Well-developed rhizomes. 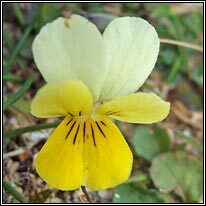 Many similaries to Mountain Pansy. Coastal, dunes and grassland. Also inland N Ireland. 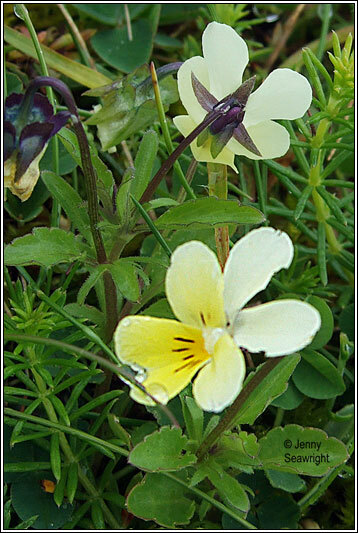 Similar: Wild Pansy, V. tricolor spp.tricolor. 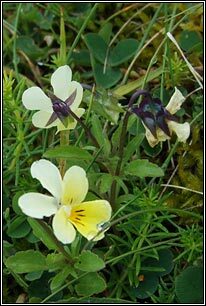 Mountain Pansy, V. lutea. 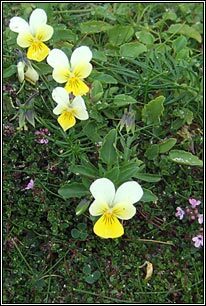 Hairless, creeping perennial. Flowers larger, pure yellow or blue-violet. Rare.